In Russia, finding out who owns that Italianate villa or luxury apartment is currently possible thanks to the Unified State Register of Rights to Immovable Property, a government database managed by ROSREESTR, the Federal Service for State Registration, Cadastre, and Cartography. USRR data is in the public domain. It costs just 200-600 rubles (US$3.27-US$9.80) to search the registry but this may not be the case for long. The news outlet RBC reported on Tuesday, 6 October that the Government Commission on Legislative Activities approved a draft bill submitted by the Federal Security Service to limit public access to ownership information of real estate, aircraft, and ships to ‘competent national authorities’. In the submission of the draft bill, the authors cited concerns about use of the USRR registry to target individuals for criminal purposes or to compromise their character, as well as concerns about the development of alternative social or commercial databases utilising this publicly available data. The bill will now be evaluated at a cabinet meeting before going to the State Duma for a vote. The property that government officials and civil servants own is of growing interest in Russia. This year, in a series of embarrassing episodes for high profile individuals, photos of their lavish lifestyles were paraded in the press and spotlighted on the website of politician and anti-corruption activist Alexei Navalny. 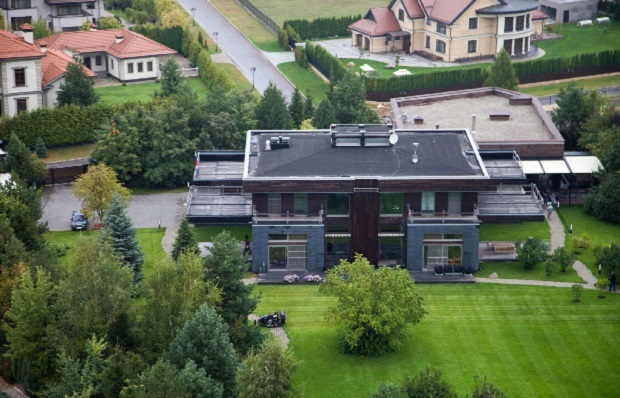 Information found in the database has also raised questions about property owned by employees of the FSB itself, the state security service, including the Serebryany Bor estate owned by former FSB head and current Secretary of the Security Council Nikolai Patrushev. Transparency International Russia argues that adoption of the bill will have devastating consequences for improving government accountability, as well as deal a major blow to the implementation of already-approved national legislation to combat corruption. The bill would violate provisions of Federal Law No.273-FZ for civil society institutions and individual citizens by making it harder to detect and deter corrupt practices. It goes against the commitment to “ensure the participation of civil society in combating corruption” of the National Anti-Corruption Strategy outlined in the 13 April 2010 presidential degree No.460. On Tuesday 8 October Transparency International Russia sent a statement to the Government (in Russian), providing all the arguments, why the law should remain a draft and not be passed. The same day we launched on online campaign against the initiative. The bill has broad commercial implications as well. Companies, developers, builders, and individuals planning to buy or sell property rely on the database for timely and accurate verification of property details and ownership information. The database is also an essential source of information for debt collection, legal proceedings, and disputes. It is unclear how anyone will be able to access the necessary information about properties held by the USRR if the bill passes. Removing the registry from the public domain would have immediate and serious consequences for the business community and the real estate market. These anticipated impacts of the draft bill would not support the interests of the business community or those of civil society groups. Whether the bill reaches the Duma will show whose interests legislators are taking seriously. Andre Jvirblis, deputy director of Transparency International Russia, contributed to this article. Correction: a previous version of this article attributed it to the wrong author.